Hi! My name is Adam (a.k.a. PIVOT or PIVOTAL). I do a lot of things. Music, graphic design, web design, video production/editing/VFX, 3D design, and game development. 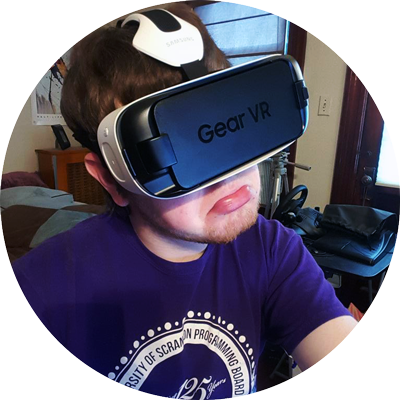 I’m a big virtual reality enthusiast, and if you were to visit me at home there is a good chance you will see me with a head mounted display strapped to my face at least a few times before you leave. I am part of an internet based music label called Visual Disturbances (which I designed the website for), where I release a lot of my major music projects. I create websites sometimes (like the one you are reading this on), I make short films and music videos, I make video games (more of a hobby than the other skills) and I frequently design graphics for various needs (usually websites and album covers). If you wanna talk, send me a tweet or use any of the other various social media platforms available. You can also contact me via email from this site’s contact page.